Hi, again. 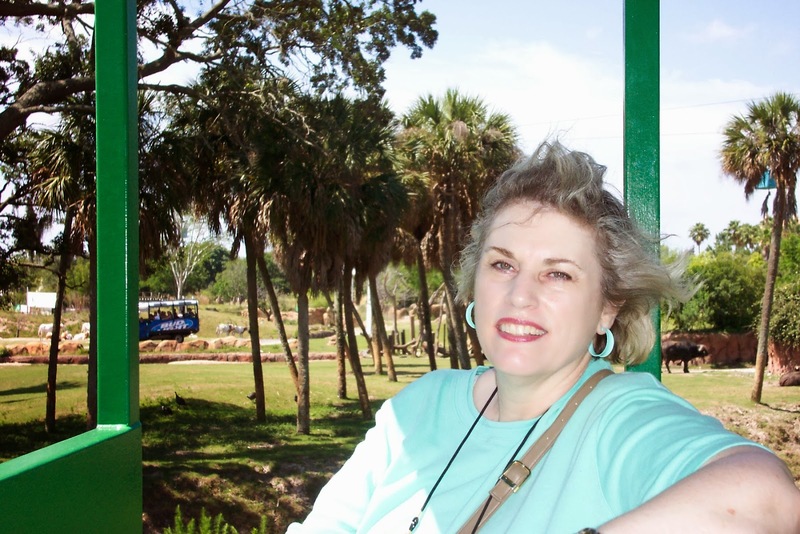 This is Louise M. Gouge, and I'm here to tell you about one of my favorite places in the world. Starting a new book series can be very exciting for a writer. I’m especially happy to be writing my next series because it takes place in a beautiful part of the United States where I haven’t lived for almost thirty-four years: the San Luis Valley of Colorado. I’d been wanting to set a book series there for a long time, and now I finally have a chance to do so. San Luis Valley Brides will be published by Harlequin's Love Inspired Historical line beginning in June 2014. Of course, I have to make these stories westerns, a genre I’ve always wanted to write. But what’s so special about this high mountain valley that sprawls across central-southern Colorado between the Sangre de Cristo and San Juan Mountain ranges? First and most obvious is the spectacular beauty of the landscape. Presided over by queenly Mount Blanca, which reaches a majestic 14,345 feet high, the Valley has an area of 8000 square miles. 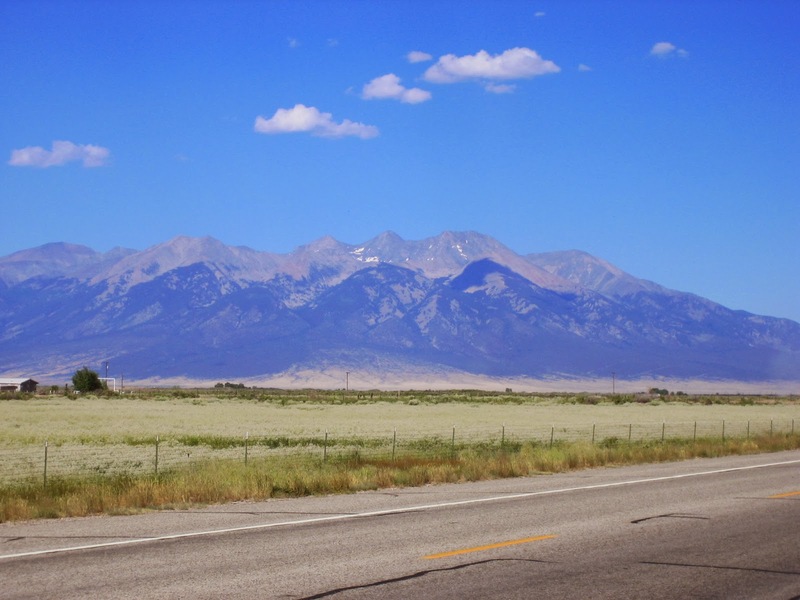 According to Wikipedia, “Blanca Peak is the fourth highest peak in Colorado, and the eighth highest peak in the contiguous United States.” Travelers across this wide, flat valley never have to feel lost in the SLV as long as Blanca is in sight. Isn't this a gorgeous scene? This distant mountain is part of the San Juan range on the west side of the Valley. Have you ever seen a bluer sky? Another important landmark is the famous Rio Grande Del Norte, or as most of us know it, the Rio Grande, whose headwaters flow from the San Juan Mountains on the western side of the Valley. From there, the water takes an eastern, then southern path, winding down to New Mexico and finally Texas, where it forms a natural border between the United States and Mexico. 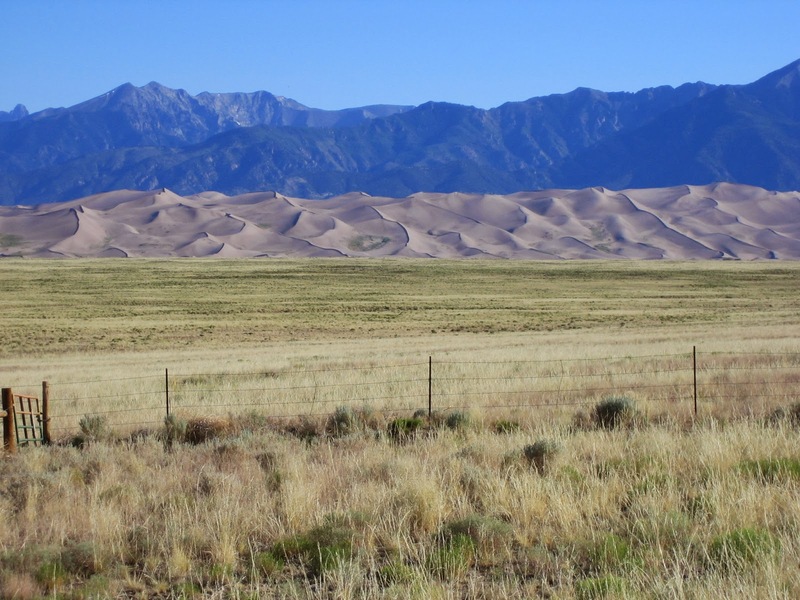 No one who's traveled to the San Luis Valley can forget the Great Sand Dunes National Monument. These sand dunes have been formed by winds sweeping across the Valley for millenia. They're a great place to explore. Another reason I love the San Luis Valley is its rich history. Before the coming of Europeans in the 1600s, Native Americans used this area for hunting but didn’t make permanent settlements due to the extremely cold winter weather. When my family moved to the SLV in 1960, we could still find arrow heads left by those long-ago hunters. After the arrival of Spanish settlers, Ute tribes settled in the southwest corner of the Valley. For a time, Mexico owned what later became Colorado Territory, but the land became the property of the United States with the 1848 Treaty of Guadalupe Hidalgo. 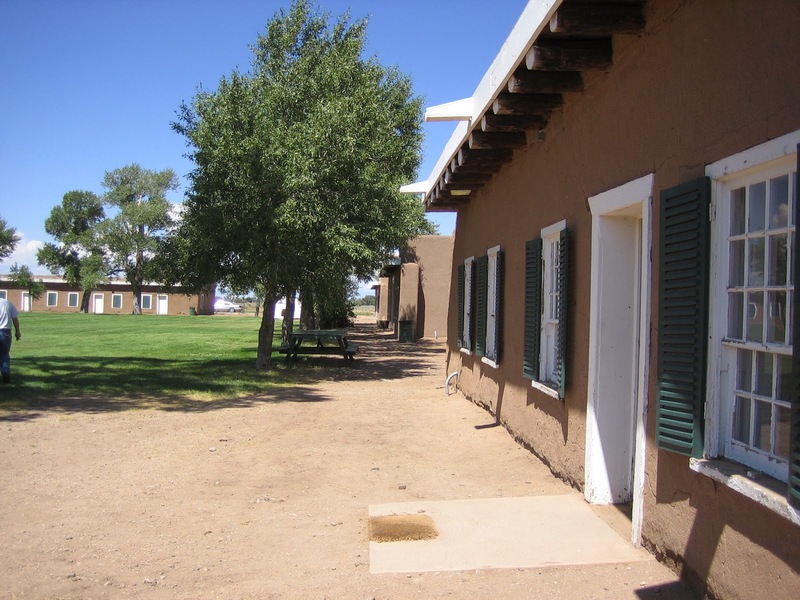 People of Spanish and Mexican descent were forced from the land granted to them by the Spanish crown, and Americans began to move to the Valley….slowly. Then, after the Civil War, easterners moved to this area, lured by promises of rich farmland and mineral wealth in the form of gold and silver. Any time you have the conflicts inherent in these situations, the history is ripe for plucking as settings for exciting western adventures. These two pictures show the interior of Fort Garland, where the United States Cavalry kept law and order in the area. 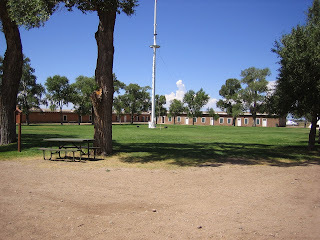 My third reason for wanting to set my stories in the San Luis Valley is my own personal connection to the place. 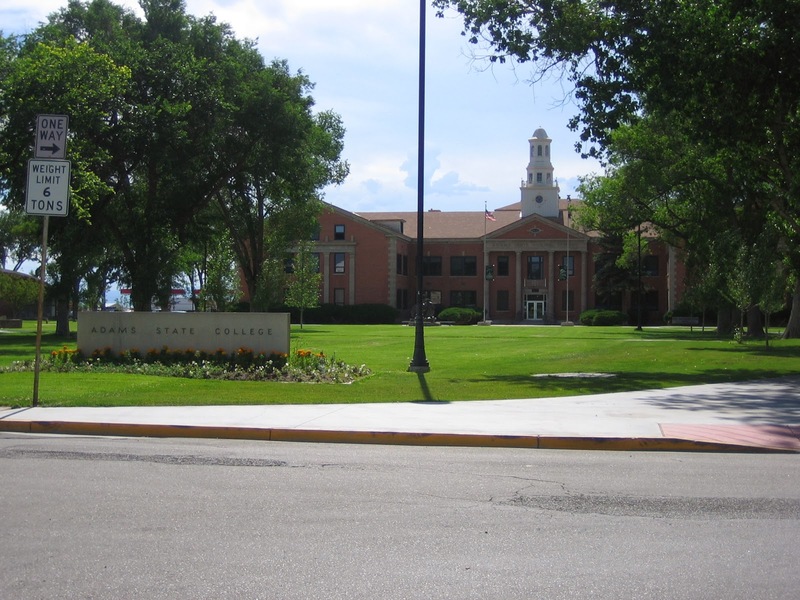 As mentioned before, my family moved to Alamosa, the Valley’s largest town, in 1960, where I graduated from high school and attended Adams State College (shown at right). Later my husband and I settled there and had our four children. During all of that time, I loved the history that permeated every square foot of the area. Old buildings, leftover sections of railroad tracks, early architecture, legends and lore, the bluest sky you’ll ever see any place in the United States, even the below-zero degree winter weather all call out to me to tell their stories. So as I leave Regency England behind and begin this new adventure of writing westerns, I’ll invoke memories of the John Wayne movies I grew up watching with my father. I hope my readers will be as happy to make the journey with me as I am to embark on it. This will be my last post for a while. In previous posts, I have enjoyed telling you a little bit about the various ethnic groups that make up my ancestry, and I hope you’ve enjoyed reading about the Irish, Scottish, Welsh, English, Norwegian, and Dutch people who left their mark on my DNA. Except for the book cover, every picture on this page was taken by my husband, my friend Pam Williams, or me. We own the copyrights and can prove it. I hope you enjoyed this visit to a beautiful part of the United States of America. 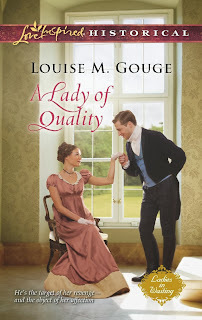 I would like to give away a copy of my final Regency novel, A Lady of Quality, to someone who leaves a comments about your favorite location for novels. This giveaway is for U. S. and Canadian residents only, and it is the responsibility of the winner to know the laws and rules regarding free giveaways where you live. I am a Wild West kind of girl. I love a setting with the roughness and ruggedness of the mountains and beauty surrounding. 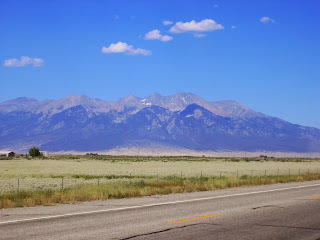 Thank you for sharing the San Luis Valley and the beautiful pictures! As for a favorite novel setting, I have to say I enjoy them all. One of my favorite things about reading is that I travel to a different place every time I open the pages of a book! I love being swept away! I have never been to Colorado but it is very beautiful. I really enjoy Settings in Texas; Kansas ; Idaho; Nebraska and Wyoming. I favor western stories along with Regency and Amish. Best wishes on your new writing venture! Thank You. 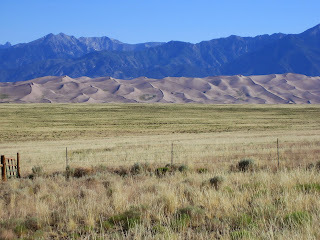 I live in Denver, and we've visited Alamosa, as well as the Great Sand Dunes. I enjoy living in Colorado and love the mountains, but I'd rather write stories set in the eastern states. There's a lot of history out there! I love Regency romances and any place with castles! So I like England, Scotland, and Ireland as story settings. Oh my goodness, what beautiful scenery. I've been to Colorado several times and am always blown away by the beauty. I love settings anywhere in the US, mostly historical times, but I enjoy books set most any place and read my favorite authors no matter where they set their stories. Absolutely stunning vistas, Louise! Thanks so much for sharing these gorgeous pictures of Colorado's San Louis Valley and it's fascinating history. Makes me want to visit there. Can't wait for your San Louis Valley Brides series! The San Luis Valley is beautiful. I read all eras of books, but the western is one of my favorite. I'm so excited that you will be writing your next books on the western. Looking forward to reading those books. Thank you for the chance of this giveaway and please enter my name. Lovely photos! My favorite location is England. Thank you for the opportunity to be entered into your drawing. Depending on my mood, I really enjoy England or the Old West as locations. I tend to go through phases when reading--I'll read 4-5 Regency novels in a row and then move on to Old West and read 4-5 of those before moving on to Amish or Civil War era novels. But England and the Old West tend to be my favorites. I was born in Alamosa and my family helped settle the valley. Some of my family still lives there. We moved in 1966, shortly after you arrived. I'll be looking forward to reading your San Luis Vally Brides series! Tanya, you're my winner. Please contact me at Louisemgouge@aol.com with your snail mail address so I can send you my book. We still find arrowheads in our fields up here in MI. I love any settings overseas - Ireland is probably a favorite. But I love all wild west stories, too. Great post! I love any place where there is water. Your photos are beautiful! Thanks for sharing them with us.